Northeast Georgia Physicians Group (NGPG) Palliative Care provides specialized medical care for people with serious illnesses. 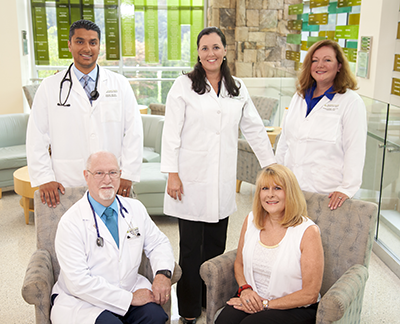 Our team focuses on providing patients with relief from the symptoms and stress of a serious illness. The goal is to improve quality of life for both the patient and the family. Palliative care is provided by a specially-trained group of doctors, nurses and other specialists who work together with a patient’s care team to provide an extra layer of support. It is appropriate at any age and at any stage in a serious illness and can be provided along with curative treatment. Palliative care treats people suffering from serious and chronic illnesses and focuses on symptoms such as pain, shortness of breath, fatigue, constipation, nausea, loss of appetite, difficulty sleeping and depression. It also helps you gain the strength to carry on with daily life. It improves your ability to tolerate medical treatments. And it helps you have more control over your care by improving your understanding of your choices for treatment. The NGPG Palliative Care team spends as much time as necessary with you and your family. They become a partner with you, your family and your other doctors. They support you and your family every step of the way, not only by controlling your symptoms, but also by helping you to understand your treatment options and goals.